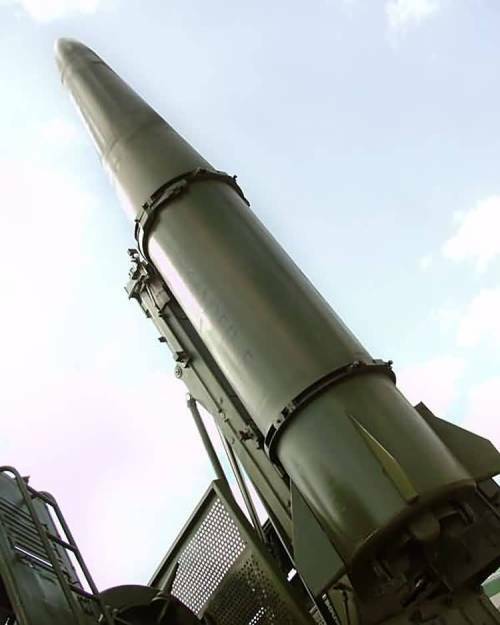 This entry was posted in Defense Industry, Force Modernization, Military Diplomacy, Strategic Forces Modernization and tagged Dmitriy Medvedev, ПРО, Iskander, Kaliningrad, MD, Missile Defense, OPK, PRO, Ruslan Pukhov, S-400, S-500, SS-26, STONE, SYaS. Bookmark the permalink. In fact putting Iskander’s near Poland is a perfectly rational move to show that Polish security has now suffered hanks to decisions in Washington. As for this articles dumb attitude towards Medvedev rattling rockets, he clearly is holding that decision to when the US actually deploys their missiles…he is leaving a window open. Why should he deploy Iskander’s now – there are no US missiles there. I doubt anybody in Poland and Romania are as stupid as this article implies when claiming that if Russia puts its missiles, these countries will then ask for America to keep their missiles there. Clearly the Russian Iskander missiles are a response and could be taken away just as fast as they were deployed. What missiles threatened Poland and Romania before US decided to use these poor countries? Had Poland and Romania been sovereign democracies, Washington could not have made these decisions. Of course the public in these countries will never be consulted via a referendum. Iskander’s in Kalinigrad is just a first step. Regular visits and stays by Russian strategic and non-strategic subs to the Caribbean Sea (and friends in Cuba, Venezuela, and Nicaragua) is a next step. Let’s not forget the eager Iranians who would be glad to buy all sorts of hardware from Russia. Therefore Russia has options, it just needs to see whether the Americans are really intent on another arms races and confrontation, then use indirect responses – Iskanders, Caribbean, Iran. I wonder if maybe someone is trying to trade away having to produce all those missiles. If the US agrees to cut back on missile defense in those countries then Russia can say we are not going to deploy them their because we have a deal. Which in the end will allow Russia to not produce as many.